Learn how life is changing for the people of Bhutan, the “Happiest Kingdom on Earth.” Loss of their agrarian way of life, rapid urbanization, and exposure to the Internet and western values are leading to a loss of their Buddhist values and culture of compassion. These changes have given rise to increased rates of anxiety, depression, substance abuse and suicide. 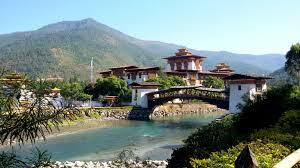 This land of Gross National Happiness, and the world’s youngest democracy, is in danger of losing its soul. Led by Judi Durham, who travels to Bhutan to help the country develop mental health services, this workshop will also include images of this breathtakingly beautiful country.